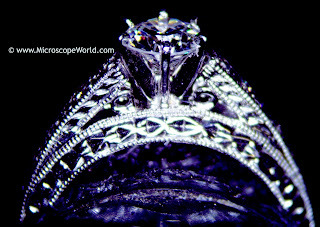 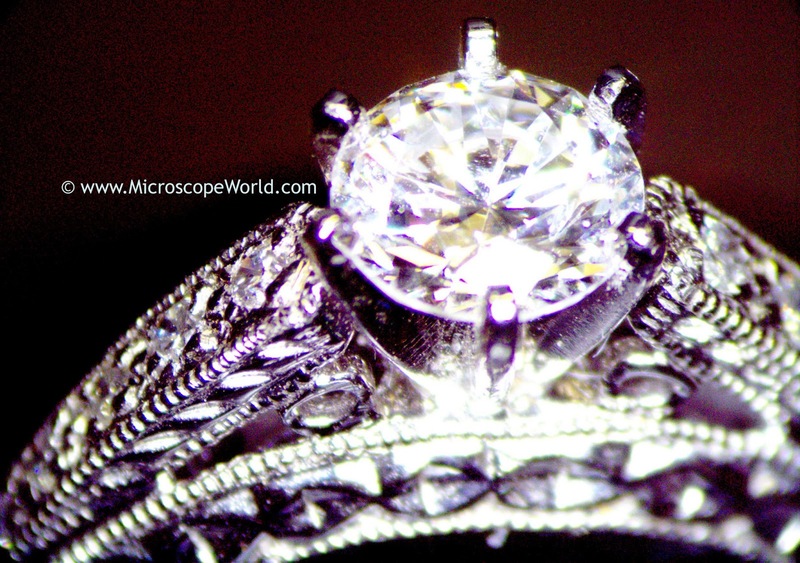 Jewelers microscopes typically have a slightly different setup in that they use darkfield in order to better view precious stones and diamonds, and they also offer the correct lower magnification that is best for viewing jewelry. 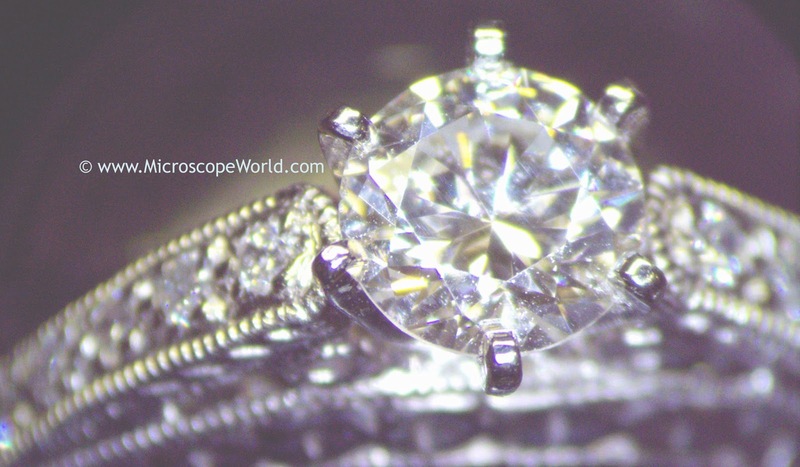 Gemological microscopes are available in a variety of prices from simple and basic stereo microscopes that offer a darkfield attachment with a gem clamp, to advanced swivel base full featured gemological microscopes. All the images above were captured with a very basic stereo microscope and a microscope camera.